Ice watches with their unique vibe of cool, calm and collected fashion that you’ll want for your wrist make the perfect Christmas gifts. 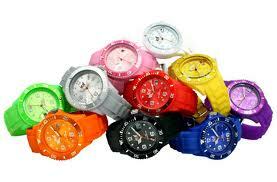 Ice watches are available in bright funky colours like shocking pink, neon green, ice blue and all time favourite colours with black ice watches and white ice watches. These watches are easy to wrap and easy to post. Perfect for a thoughtful gift to someone you may not see this Christmastime.